Welcome to Fred Lavery Porsche Company, proudly serving Birmingham shoppers for their new Porsche needs. Whether you want an adrenaline-rushing coupe, all the way to a powerful SUV, you’ll be guaranteed an incredible driving experience every time. We have an extensive inventory so that you can get the car that you want to the very detail. If you’ve always dreamed of owning a Porsche, consider our Pre Owned Porsche models. The fantastic craftsmanship is seen throughout every vehicle, ensuring they will last on the road as long as you want them to. To maintain your Porsche, our expert technicians need to examine them once in a while to perform regular maintenance. This will promise the integrity of these models so that you can stay the center of attention on the road! Come visit our Porsche service center in Birmingham and have a peace of mind knowing you’re Porsche will be taken care of, no matter the size of the problem. Every Porsche promises a luxurious ride with undeniable performance. If you’re ready to experience this, contact us at (248) 645-5930. 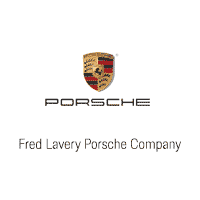 We encourage Birmingham, Michigan, and Detroit area shoppers to come down to Fred Lavery Porsche Company. I am repeat customer to this dealership. Very pleasant sales force and response service manager. John and the whole Porsche service staff are amazing. Anytime I have had issues with my vehicle they are able to quickly diagnose and repair. The last time I was in, John went above and beyond to get a transmission issue resolved! This level of service will make me a Porsche customer for Life!